JW Machine continues to invest in improvements toward better service to customers and the growing market demand for greater manufacturing efficiency and customer support. 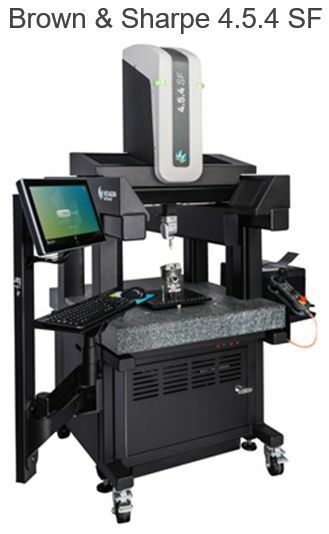 The brand new Hexagon Metrology 4.5.4 SF by Browne and Sharpe, coordinate measuring machine is the newest addition to the shop floor quality. This enhancement to our inspection and production will increase efficiency and service, enabling a broader scope of capabilities to include additional LDD activities into our customer service. It is designed from the ground up to surpass the demanding requirements of shop floor users. This rugged CMM is ideal for JW’s machine shop – featuring advanced thermal compensation, covered ways, built-in vibration resistance, and a shop-hardened design. Please consider adding us to your resource list of qualified quality vendors for your next LDD RFQ list.